DJ JENE: Madonna Birthday Boat Party is August 15th at 7pm ! Come celebrate her 60th Birthday in Style! 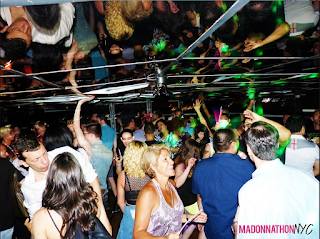 Madonna Birthday Boat Party is August 15th at 7pm ! 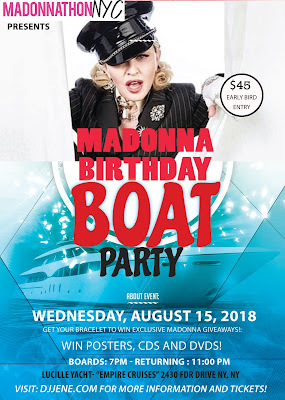 Come celebrate her 60th Birthday in Style! 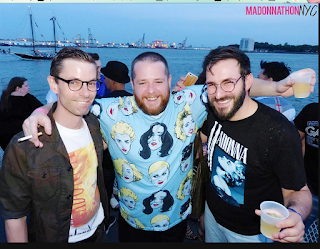 MadonnathonNYC proudly presents our 3rd Annual Madonna Birthday Boat Party Cruise! Wednesday August 15th at 7pm! This is the only place to purchase your official tickets for the Madonna Birthday boat Party! How many Tickets Do you wish to purchase? Buffet, and Cash Bar Options! Birthday Cake! and so much more! * Be sure to grab your early bird tickets only for this month you can get on board for only $45! sign up now, and never miss a party! DJJene.com . Awesome Inc. theme. Powered by Blogger.